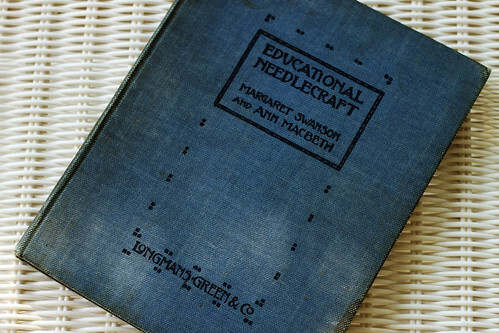 I wrote a quick post a while back about “Educational Needlework” published in 1911. I am really lucky to have found this book for a few dollars at an antique store in Indianapolis several years ago. Today I will show more of the pages from the book. Please excuse the photography. With all the smoke in the air from the fires, the light kept changing. The photos may take a bit of time to load. 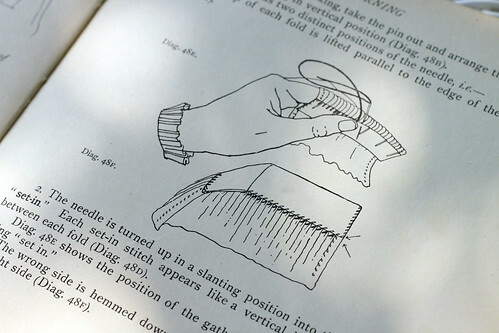 There are so many nice drawings in the book it was hard to choose which ones to photograph. 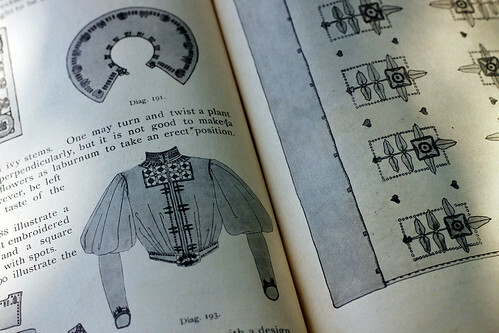 These pages show the time and fashion more than the embroidery designs. I will show more of those tomorrow. 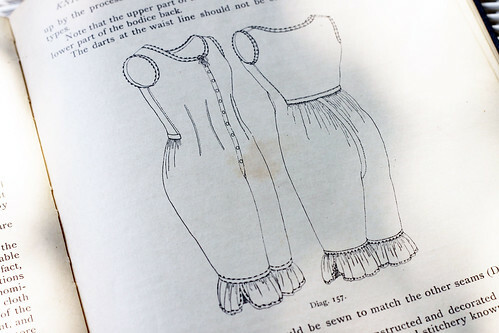 Underwear, the chapter included patterns. 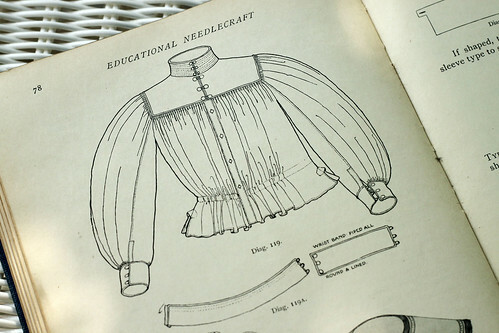 This book is about teaching girls younger than 14 how to sew. 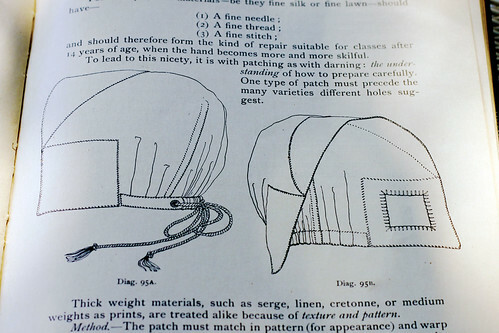 It focuses on hand stitching, but mentions machine stitching for the older girls. I just love the designs and illustrations. This entry was posted on Saturday, August 29th, 2009 at 3:00 am and is filed under Sewing. Tagged: Sewing. You can feed this entry. You can leave a response, or trackback from your own site. 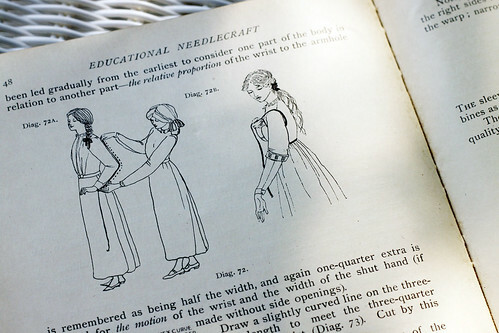 What a lovely old book. 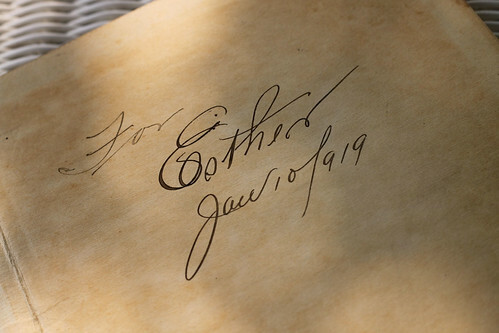 Do we see handwriting like the inscription any more?. 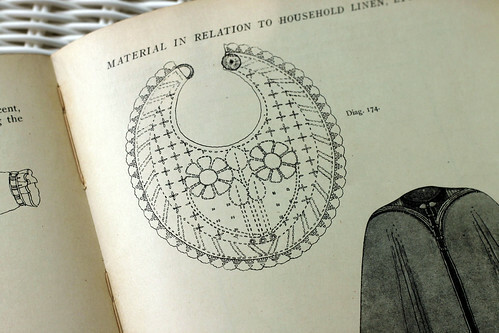 I have an old housekeeping/cookbook of my grandmother’s. I treasure it also.